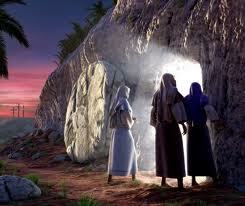 The Resurrection of Christ- TODAY! In YOU! Guess what? This was not a one time event that happened 2000 years ago Okay? Christians are so hung up about being born again, and ya know that’s absolutely correct. You have to be BORN FROM ABOVE. That dormant DNA switch inherant in your DNA has to activated. But to think that’s all you have to do is ridiculous! Do babies grow up without help. No way! They have to eat the right things and be nurtured to adulthood. You can’t then just drift though life on the boat to hell and think your gonna end up with God. That’s just plain nonsense. Does a doctor just grow up and be a doctor without training, brains, skills.. Heavens No! In the same manner you have to develop Christ in you. It’s a team effort here folks. Not once saved always saved. Sorry. You always have free will. Yahushuwah, however, knows who “wills” to be with him from the foundation of the world because we were there with him when he created it! We are his BODY so in that collective sense this group is HIM. So how do you know if you are part of his group or not? The WORD says your enemies will be those closest to you, so you can bet you bottom dollar that in this natural life you are gonna be lonely as hell. The good news is…THE KINGDOM OF GOD IS AT HAND! YHWH is the God of the PRESENT! He is here NOW. Not coming back in the Rapture for you in the future. You can be RAPTURED TODAY! Get alone with Him and man he will take you places you only dreamed of . I have so much I’d like to share with you all, but I can’t physically accomodate all the information He gives me. I get on circuit overload and have to shut down occasionally to rest because He blows you away! That’s when the Ruach (YHWH’s feminine aspect) steps in because She will temper that and nurture you so you don’t get into depression, overstimulation , etc. There is NO DRUG on the face of the earth that compares with being in the presence of the Almighty Elohim. He is THE TRUTH, THE WAY, and THE LIGHT. Period. Seek Him EARLY. That means not only early in life but early in your “DAILY” (See my post What is the Daily?). I go to sleep now around 9 or 10 at night and by 2 or 3 am I’m up because I get woken up. Once you start communicating with YHWH HE really gets demanding! HE LOVES IT as much if not more than you do! That’s what is meant by His being JEALOUS. He Really loves His time with little ole you! I start reading the bible. (Just open it up-wherever) and He will start revealing stuff to you in that book that will floor you. Some of it He will show show is pure symbolic- the stuff never happened in 3D reality but other stuff did and there is history to prove it. It all still is HIS WORD whether it happend in 3D or not. It IS happening in 4D and higher dimensions and that’s why the bible is NOT written in LINEAR TIME. You have to get out of that mindset. You hear people talk about well “that’s your Truth” or it’s” true for you, etc…” No it’s TRUE for you too but you are not at the same place as the other person. The TRUTH is not the relative variable here. You ARE. THE TRUTH is a Constant. It doesn’t change… YOU DO! Now you can choose to align yourself with it at any given instant in time or Not. That’s where your free will comes in. You are making decisions all the time to either align with TRUTH or FALSEHOOD. If you discover something you believed in is FALSE do you stay and Make the best of it? Or do you reaarange yourself to pursue something TRUE. The TRUTH will set you free indeed, because it dissolves error and misplaced loyalty. It demands CHANGE. Believe you me I’m preaching to myself as much at the next person. WE are all slaves to this Matrix lying Beast all around us. Grab on to those Sparks of TRUTH though when they are shown to you. These are glimpses that are given to you like pearls. The Pearls of great price. 33% of what the world offers you is a lie! ( 33rd degree freemasonry?) 1/3 of the angels fell, right? They went askew. See to it that you pursue diligently the other 2/3 truth that is out there at your disposal. Remember…… NO RELIGION will save you. CHURCH won’t save you. Works won’t save you. Only your close abiding relationship with YaHuWah will. Resurrect His spirit in yourself today. Get him off the cross! You’ve got spiritual work to do. TOGETHER! Posted on February 20, 2013, in Rapture, Resurrection, Salvation, The Kabbalah and tagged Born-again, Christ Conscienceness, Rapture, The Resurrection. Bookmark the permalink. Comments Off on The Resurrection of Christ- TODAY! In YOU!.